In the past two decades or so, Alpine mountain biking has gone from a somewhat niche sport enjoyed by semi-serious hobbyists and competitive cyclists to widen its appeal considerably to include other demographics. A few timely marketing campaigns, coupled with the area’s natural charm, has caused many people’s heads to turn towards the French and Swiss mountains as a potential destination for an active family or couples’ holiday. With this increase in popularity came, of course, a parallel boom in sales for sports bikes, namely mountain bikes. 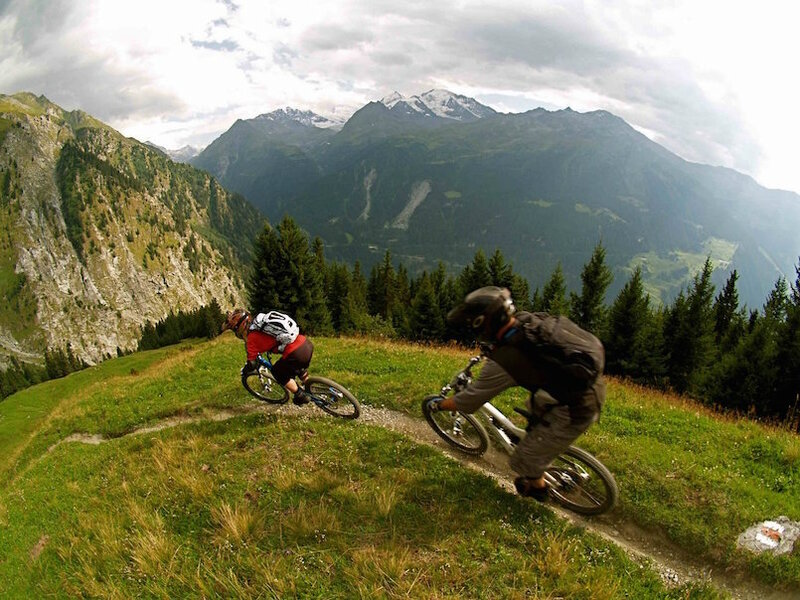 Alpine mountain biking is considerably more demanding, in terms of sturdiness and technical features, than road cycling, and many potential enthusiasts wishing to engage in this activity find themselves forced to purchase a new, better bike. And that, usually, is where the doubts begin. The reason so many hobbyists have questions which bike is the best has to do with the fact that this is an eminently technical field. Most people have only the vaguest of notions about the different types of bicycle available on the market, and as soon as the conversation veers towards the technical, the deer-in-headlights stares begin.